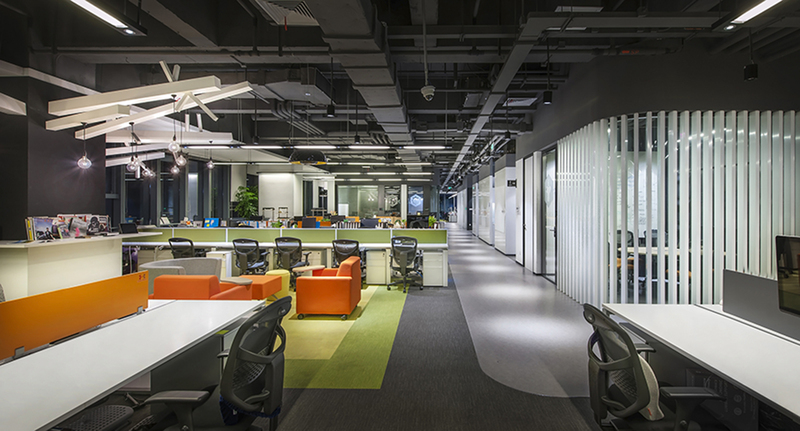 GTB Shanghai Office by M Moser Associates Ltd. 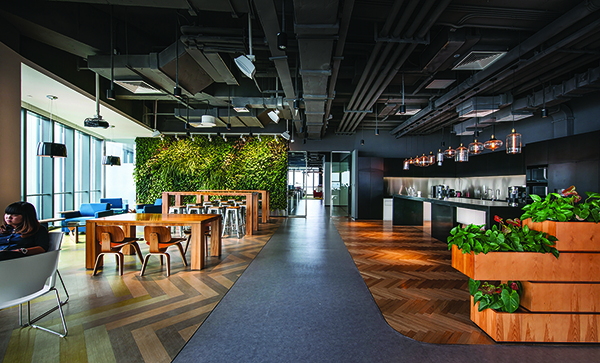 The hallmarks of nature and healthy living inspire creativity and collaboration in this distinctive new office for GTB in Shanghai. 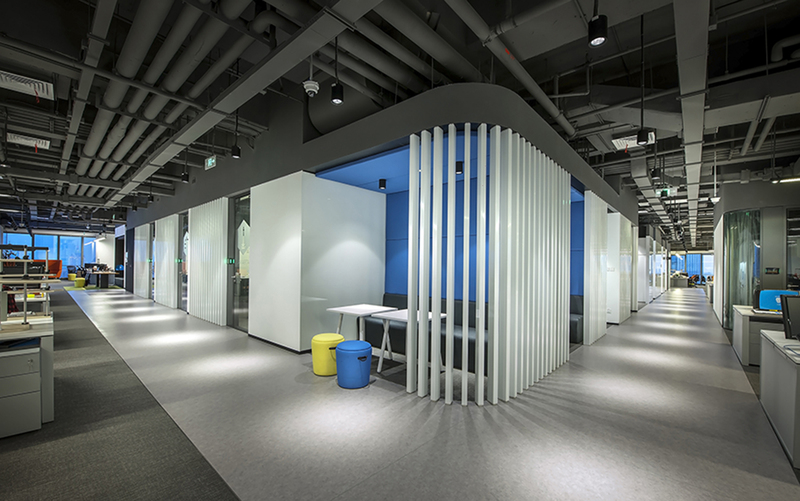 Much of the design’s impetus came from its location away from GTB’s previous office in central Shanghai. With retaining existing creative staff and recruiting new members a priority, GTB was determined to create a work environment that supported a healthy lifestyle and work-life balance. WELL certification for the design would underline its focus on ‘human sustainability’. Obvious manifestations of this approach include the lush green wall in the staff bistro, a generously sized space that can be opened up to flow directly into an adjoining ‘flex room’. The result is a larger venue for regular staff social gatherings (kicked off every Friday by sounding a horn), events, or town hall meetings. 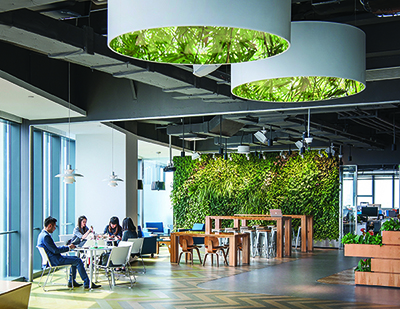 Elements of the bistro, including the green wall and wood flooring, reappear elsewhere to give even work areas a touch of the outdoors. The latter are wrapped against the glass curtain wall, giving them sweeping outside views and natural light during the day. Every few rows of benches is served by a ‘backyard’ – an open break-out zone that serves as a natural venue for brainstorming, ad hoc discussions, or away-from-the-desk work. Between the open work areas and the building core – itself ‘wrapped’ with enclosed meeting spaces – is a corridor loop whose 2.4m width and contrasting floor colour give it something of a running track feel; perfectly symbolic of a design that ‘walks the talk’ of staff wellness.